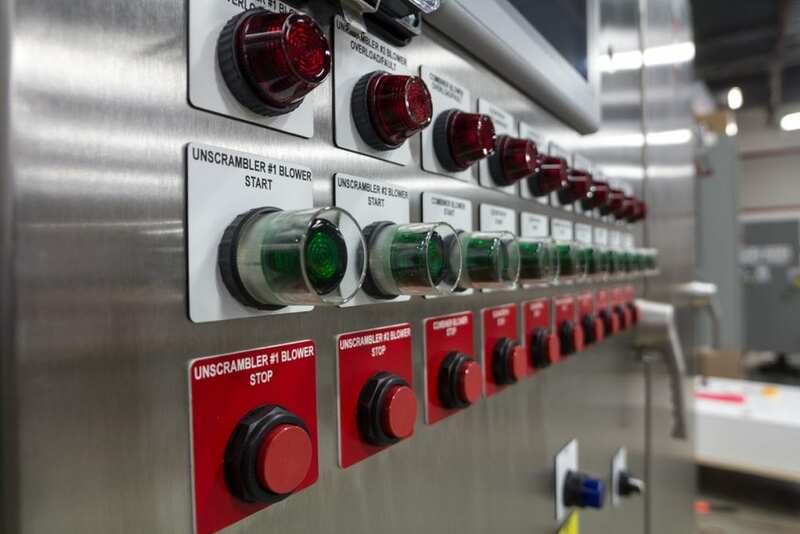 Control Panel Services | The Industrial Controls Company, Inc. The Industrial Controls Company provides a host of ancillary services to support your control panel or control system build. Depending on your requirements, we can supply packaging and shipping services, supported on-site installation and startup, complete documentation as well as field service and complete technical support. Control panels require proper handling in transit. Before trusting your control panel to the hands of a freight carrier, we prepare your shipment to insure safe arrival. The Industrial Controls Company packages your shipment in anticipation of the jostling that vulnerable components may receive on the long, bumpy ride to their destination. When necessary, we’ve worked directly with packaging companies to develop the specialized packaging to properly safeguard controls during transit. When the truck backs up to our loading dock, we personally assure that your shipment is secured to our satisfaction — and no truck departs until your control panel is safely strapped in for the ride. We believe you’re buying more from The Industrial Controls Company than just a control panel —you’re buying the pride, integrity and commitment we build into every panel we sell. In the unlikely event a problem develops in the field, our SWAT Team springs into action. The SWAT team’s first priority is to establish whether our customer is operational. If not, we do whatever it takes to get them up and running. If we have to get on a plane to fix your problem on-site, we do it. Whatever it takes. Meanwhile, we conduct an investigation and perform a root cause analysis to run down the cause of the problem, keeping our customer in the loop the entire time. Once we identify the source of the trouble, we modify our process to insure this particular error never repeats. Finally, we send along our findings to the customer, along with an outline of our updated processes. Control panels and control systems frequently require appropriate cautions and warnings. We’re specialists at creating high-quality, fast-turnaround identification-marking products for process and machine control systems. One recent project involved laser-marking 460 one-way valves for gases used in hospitals. Our legend plates, lamicoids and nameplates are produced by dedicated graphics staff using our own Meistergram™ computer-controlled rotary engraver, 100-watt 2-axis laser engraver and 7-color dye-sublimation printer. Our success with identification products led to an expansion of our engraving services to meet requests for awards, plaques, trophies and more. We recently created plaques, trophies and nameplates for the Experimental Aircraft Association AirVenture™ Cup. Give us a call and let your own imagination soar.